SAN FRANCISCO — The annual Bay Area Day of Remembrance will be held on Sunday, Feb. 22, from 2 to 4 p.m. at the Sundance Kabuki Cinemas, 1881 Post St. (between Webster and Fillmore) in San Francisco Japantown. Emily Murase, newly elected president of the San Francisco Board of Education, will serve as emcee. 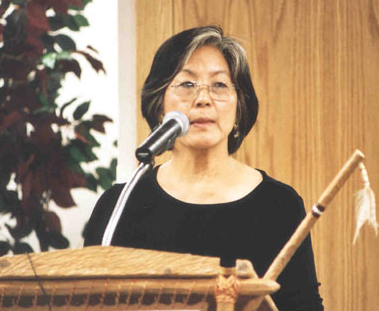 The keynote speaker will be Satsuki Ina, Ph.D., founder of the Family Study Center, producer/project director of the documentary “Children of the Camps,” and producer of the documentary “From a Silk Cocoon,” which tells the true story of her parents, a young Japanese American couple whose shattered dreams and forsaken loyalties led them to renounce their U.S. citizenship while held in separate prison camps during World War II. They struggled to prove their innocence and fight deportation during a time of wartime hysteria and racial profiling. Also speaking will be San Francisco Public Defender Jeff Adachi and Rep. Mike Honda of the 17th Congressional District. Musician and taiko drummer Kallan Nishimoto will perform. The Clifford I. Uyeda Peace and Humanitarian Award will be presented to Hiroshi Kashiwagi, poet, playwright, and actor, and author of “Swimming in the American: A Memoir and Selected Writings,” among other books.